Shopping for a new Mercedes-Benz SL Class? It’s hard to reconcile a $90,000 price tag and a car with a V-6 engine, but Mercedes isn’t making any apologies. The exhaust notes and prestige of a V-8 are very tempting, but for $20,000 more we’d start feeling guilty. 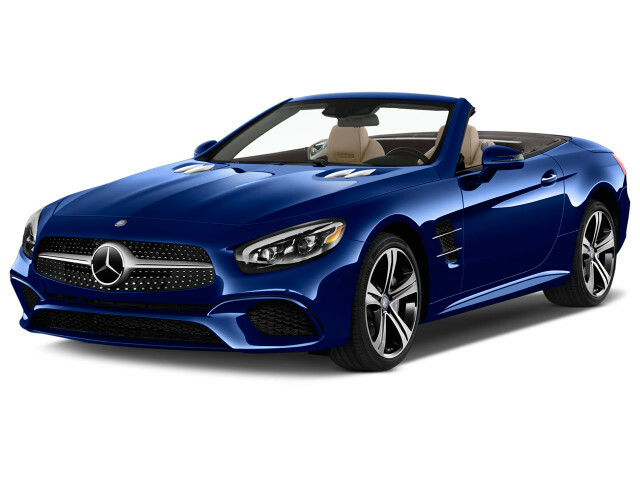 The 2019 Mercedes-Benz SL-Class is an icon among luxury cars and convertibles. It's due for an update, but a good idea never gets old. The 2019 Mercedes-Benz SL-Class is a big, expensive two-door cruiser with a shrinking purpose in the brand’s lineup. Other models like the AMG GT are faster, while the S-Class is a more competent cruiser. The 2019 SL-Class is unchanged from last year’s model, which was mostly unchanged from the year before it. 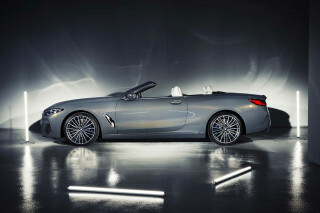 With a starting price of nearly $90,000, the SL450 will be the most popular car in the line. 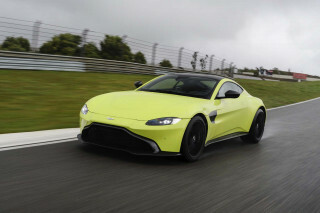 It gets a 362-horsepower V-6 and sub-five second 0-60 mph time. The SL550 adds in a 449-hp V-8 for $20,000, which would buy a pretty nice used car in most places on its own. If you have $150,000 on the budget for an AMG-tweaked edition, the SL63 has your back with 577 horsepower, courtesy a 5.5-liter V-8. The SL65 brings a V-12 and 621 hp to the party for a budget-conscious price of $223,000. All SL models are well-equipped with leather upholstery, 19-inch wheels, Harman Kardon audio, power seats, folding hardtop, adaptive dampers, and a 7.0-inch infotainment screen with controller. 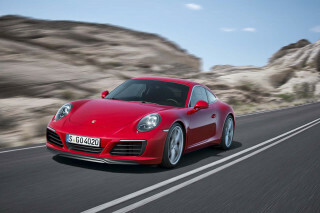 Spend more and get designer shades inside and out, as well as bigger engines under the hood. The SL-Class certainly feels like a $100,000 car, but one that is becoming more dated as other models’ tech and features catch up. A tall front end, oversize grille, and large air dams help set the tone for the SL’s shape, aided by the tweaks made in 2017 that brought a more aggressive look to its face. The SL-Class’ profile is one that honors its roots as a grand tourer, though the car’s outline is a bit out of proportion with the top up. With the top down, the silhouette comes into focus and the balance of the car is much more, well…balanced. The SL’s interior is elegant and straightforward, more so than the new S-Class, and the SL has plenty of style. Mercedes has taken the same approach across the cabin, with the SL’s dash and button layout placing function over form. The SL’s center console is adorned by a tiny stub of a shift knob that, while helping to open up the space a bit, only makes us want a manual transmission even more. Elsewhere, the leather features two rows of stitching and the SL wears more than enough chrome to shame an entire issue of Lowrider Magazine. The 2019 SL-Class rides like a cruise ship but can be made into a speedboat—for a price. Most SL-Class convertibles sold will be equipped with a 362-horsepower, turbocharged V-6 that produces 369 pound-feet of torque. With rear-wheel drive and a 9-speed automatic transmission, the SL450 will run 0-60 mph in less than five seconds. That’s plenty fast enough for this car, but the noise made while doing so isn’t quite as pleasurable. The screech of the V-6 is quelled nicely with the top up, but steps to the foreground when cruising top-down in Sport mode. The SL550 gets a V-8 with 449 hp and a much better sound. With the same 9-speed auto, the V-8 powered SL will reach 60 mph in 4.3 seconds. With this pleasure comes a healthy dose of pain: $20,000 worth of it over the base SL450. Other than faster acceleration, the SL550 operates nearly identically to its lesser (and cheaper) SL450 counterpart: same top speed and very similar fuel consumption numbers. The SL63 tosses in a couple of turbochargers and a 5.5-liter V-8 for good measure. With 577 hp and a 0-60 mph time of 4 seconds flat, the SL63 tops out at 186 mph. Going a step further, the V-8 can be exchanged for a 6.0-liter V-12 in the SL65, because what’s another $100,000 between friends? 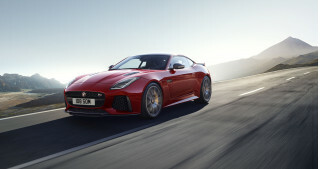 The package adds up to a staggering 621 hp and a sub-four second 0-60 mph time. On the road, the SL is more of a grand tourer than a pure sports car. We actually prefer the SL’s base two-mode suspension, with or without the sport wheels and brakes, to the exotic expensive Active Body Control upgrade. The cheaper setup’s “sport” mode feel more like “comfort,” but the stock SL handles wide sweepers with grace, and a fair amount of body roll. The electric power steering doesn’t offer up much in the way of feedback, and there are some uneven transitions when it’s driven hard. The AMG models? They’re models of smart, grippy luxury-car performance. The Active Body Control System with Curve Tilting in the SL is so effective it almost adds some motion sickness to the driving experience. The system in our SL450 tester worked so well that what we expected (body lean and movement) was not what was actually experienced (quiet, calm ride). The difference was enough to cause a bit of a disconnect between brain and body. The 2019 SL-Class will move two people—and almost nothing else—in absolute luxury. With a long 101.7 inches between the wheels, the SL-Class dedicates a shockingly small amount of that to people. Most of that room is shared between the engine bay or the trunk, which makes sense when you consider the SL’s largest passengers: the engine and the power-folding convertible top. The SL-Class brings a respectable amount of expensive material-swathed interior space nonetheless. The seats are generous and wide enough for most backsides, and an in-seat massage feature washes away any guilt of the extra cake we had at lunch. Interior storage space is at a premium, with a comically large-sized cupholder being the only compartment of note, outside of the standard glove box and center console. The trunk is advertised at 13.5 cubic feet of cargo space, but that drops considerably to 8.5 cubes with the top folded inside. That’s about enough for two grocery bags, but SL-Class owners probably aren’t shopping with the commoners anyway. The 2019 SL-Class offers plenty in the way of standard and optional safety equipment. The 2019 SL-Class convertibles all come with front, side, and knee airbags, as well as pop-up roll bars that activate in a rollover crash. Active headrests, a rearview camera, wet-arm wiper blades, active headlamps, LED daytime running lights, and a driver Attention Assist are also standard. The driver monitors watch for drowsiness and alerts the driver when it’s time for a caffeine or rest break. Advanced safety tech like blind-spot monitors, forward-collision warnings, and active lane control are optional, but not standard, on all models. Nearly every detail is meticulously placed in the 2019 SL-Class, with the exception of a subpar infotainment experience. The SL-Class comes standard with leather upholstery, 19-inch wheels, Harman Kardon audio, power seats, folding hardtop, adaptive dampers, and a 7.0-inch infotainment screen with controller. More on the screen: The COMAND infotainment system is the same framework running in other Mercedes-Benz vehicles. The big difference is that the SL-Class doesn’t have a touchscreen like the others do, which makes using the built-in Apple CarPlay and Android Auto a lot like controlling an iPhone with a steering wheel. In a vehicle that was otherwise constructed with so much attention to detail, this feels like one that slipped by. The other details, however, loom large in the SL-Class. The optional Bang & Olufsen audio is outstanding, Mercedes’ Designo lab can customize the interior in nearly any way imaginable, and the Magic Sky Control photochromatic roof lets the driver adjust the amount of tint on the roof to achieve perfect natural mood lighting. 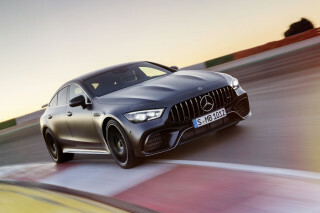 The AMG models add in plenty of performance bits like staggered-width wheels, performance brakes, sport exhaust, and an engine plaque signed by the person that built it. With the SL450’s starting price tag squeaking in just under $90,000 and the as-driven price reaching nearly $110,000, the SL-Class is an exclusive experience. And that’s just for the V-6. The 2019 SL-Class won’t be a hyper-miler’s first choice in any configuration. Fuel economy ranges from acceptable to painful, depending on the under-hood configuration. The turbocharged V-6 in the SL450 shows up with 20 mpg city, 28 highway, 23 combined, according to last year's EPA figures, and it’s downhill from there. The SL550’s V-8 manages 17/25/20 mpg and the SL63’s V-8 pulls 16/25/19 mpg. The turbo-12 in the SL65 unapologetically screams in with 13/22/16 mpg.